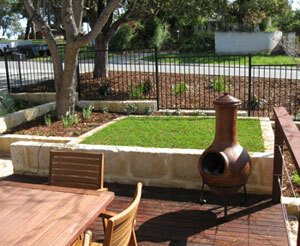 This garden is designed to take advantage of the naturally sloping front yard and verge. Terraces are used in the garden to create a variety of levels which are accentuated by the range of earthy natural materials. 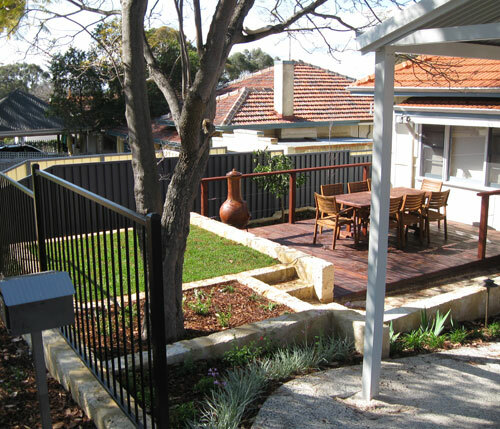 It is a front yard space so some fencing and informal hedge screening was included in the design to create a sense of privacy to the outdoor living area. 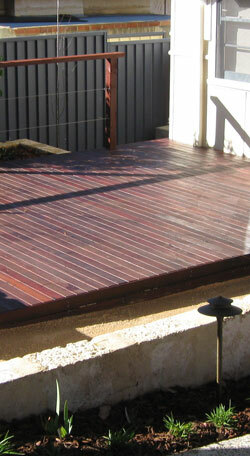 Recycled & milled Jarrah is used for the decking, terraces are formed using natural Tamala limestone and other surfaces include stabilised Summerstone fines gravel and a small feature area of Sir Walter softleaf buffalo lawn. 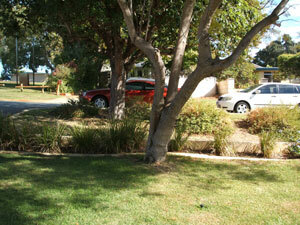 The garden is filled with edibles and flowering perennials framed by a few small deciduous trees including Cercis Forest Pansy, one of the best deciduous small trees for Perth.